The keto diet, with its low carb-high fat ratios, works by restricting your carb intake and switching your body’s source of fuel from glucose to fat (via naturally produced ketones!). And in doing so, a myriad of health benefits emerge for many: from faster weight loss, diabetes management, mental clarity, to anti-inflammatory effects, and many more. But is there a right way to do the ketogenic diet?! Yes and no, let’s discuss! Keto Diet Guide: An intro, guide and discussion! I want to introduce you guys to a new section at gnom-gnom called ‘Keto 101’; where we bring up various topics around the keto diet and talk about them, all collectively as a community. Because let’s face it, the keto diet is still in it’s infancy; with research still very limited (but growing! ), and most of the information out there being anecdotal (which I don’t necessarily see as a bad thing at all). So this is where you come in! I get daily emails from you guys about incredible inspirational stories on how the keto diet has helped improve your lives. And (very importantly! ), many of you also share with me great tips about how each of you has adapted the keto diet over time to suit your needs. Your emails have ranged from anything like diabetes, epilepsy, depression, autism, fertility (keto babies are a big thing guys! ), autoimmune diseases… and of course, weight loss (and all the health benefits that come it). So tell me, what are you doing the keto diet for? Once a week we’ll bring up a topic (from hot issues to personal stories), give some background info, and get you guys pitching-in with comments and participating in the polls! I’ve learned so much from you already, and I hope keto 101 to be a way to connect peeps with one another (and help to weed out the myths from the truths!). So let’s get started! Let’s start off by clarifying that ketosis is a metabolic state, not a diet. And trust me, this is a veeery good thing because it means that you can adapt the keto diet to suit your needs. The one rule? You must restrict your carb intake, as this will force your body into a state of ketosis (i.e. to switch from using glucose as its main source of fuel to fat!). How many carbs? This might surprise you, but this actually depends from person to person quite a bit! And while 20g net carbs is the fast rule (and a good one to ensure you become fat-adapted), the range is actually from 20g to even 100g (!!) net carbs a day. How to know your limit? The only way of knowing for sure is to test regularly with a blood meter such as Keto Mojo (pee strips are super unreliable once you become fat-adapted guys!). It’s still generally advised that you stay strict keto for about 6 months in order to ensure your body becomes used to running on fat (i.e. fat-adapted!). After that you can play with your macros a bit, and test until you find your limit. For instance, my limit is (generally!) 40-60g net carbs. I found this by accident one day during a small carb-up, and was pleasantly surprised that I was still in ketosis. We’ll talk about this in depth next week. p.s. a great app to track is Martina’s KetoDiet app! (Not sponsored, just a fan of the gal and her work!). So overall the keto diet is low carb, high and moderate protein. And while macros will vary from person to person, it’s customary to do roughly 70% fats, 25% protein, and 5% carbohydrate. Though this is one of the areas were you can play around a bit to see what suits your digestive system best. And do note that some peeps that do keto for weight loss have seen a benefit of reducing the fat ratio (and being sure to keep the calories in check!). The keto diet was initially devised back in the 1920s as a method to treat medication-resistant epilepsy in kids. But has since been found to have many more benefits, and for several conditions. So while weight loss might just be the thing that gets most peeps into keto, benefits can range from management of diabetes and auto immune diseases, improvement in mood disorders, autism, fertility and and other reproductive system issues, mental clarity and sleep quality… and many more! Essentially you just need to remember that getting fiber in the keto diet is a very good thing for most (helping keep things regular… you know!). So fiber is embraced on the keto diet and subsctracted from your daily carb count. Natural sugar alcohols (erythritol and non-corn xylitol) and allulose (a monosaccharide) are a similar story. Because they go undigested through the digestive tracts of most peeps, it’s common practice to subtract them as you do fiber (this doesn’t give free reign to indulge though!). What foods are good on keto? So while a keto diet is generally done grain and gluten free, free of processed inflammatory foods (think refined oils, artificial sweeteners…), sticking to grass-fed dairy where possible… it can technically also be done by just sticking to roughly 20-50g net carbs a day (what’s referred to as ‘dirty keto’ or simply low carb). What I always suggest is the you listen to your body, after all it really does know best! So take note of which foods agree with your body and which don’t, something which does get easier once the inflammation in your body has gone down after a bit on keto. 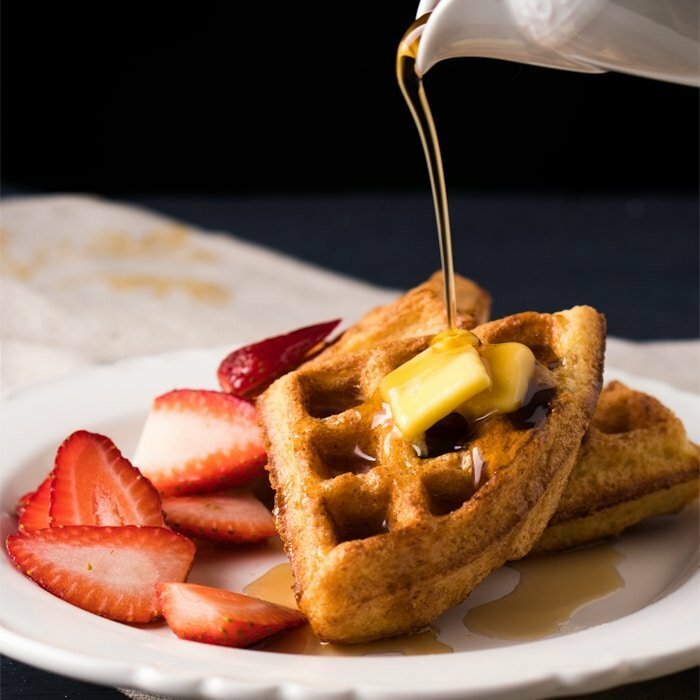 Natural sweeteners in moderation (stevia, monk fruit and some sugar alcohols- see our full guide here!). The infamous keto flu! Lets first note that you don’t actually get ‘the flu’, but rather your body may feel strange while it adapts to fats. Symptoms can range from headaches, light-headedness, tiredness, insomnia… not everyone gets all the symptoms, and it can range anywhere form a day to a week for most peeps. Make sure you’re getting plenty of electrolytes, drink enough water and just sail through it (it’ll be worth it!). I personally eased into the keto diet (I was already doing paleo for a while, and gradually began to reduce carbs). I’m fairly certain that because of this I didn’t notice many adverse effects… other than mad cravings for bread that is! So I do believe the keto flue can vary a lot, depending on how big your diet changes are. Did you guys get the keto flu?! Changes in mood. Did you know your digestive system is intricately connected to your nervous system?! Which is why the keto diet is known to help relieve anxiety and other mood disorders in many. Overall you need to feel good! This may sound like a no-brainer, but in the world we live today we tend to abuse caffeine, boosters and sleeping aids (all signs that our bodies are running on fumes!). There’s two sides to every coin right? Bad bread and a particular body odor are some of the common complaints; and while they don’t happen to everyone and are definitely not serious, they can be annoying. The good news is that they are generally only limited to the start of your keto journey, but ingesting chlorophyll pills is a common remedy with great reviews (think of them as an internal deodorant!). Other things to lookout for can be insomnia (your body might just need more carbs), hair loss (doesn’t happen for most, but it did happen to me), changes in bowl movements (you just need to play around with the foods you’re ingesting, particularly rich-in-fiber ones such as chia pudding!). To note: my doctor has also warned me that some studies have shown that the keto diet can put a strain on your kidneys and liver long term. Now, this is something that may or may not be certain; but I have bi-annual workups and both my kidneys and liver are good and healthy now (they were previously affected by my autoimmune). Just something to keep an eye out for! Now, I actually think ‘the keto rules’ are fairly sound (particularly if you’re doing keto to treat inflammation, such as for autoimmune diseases). Ketones are natural anti-inflammatory agents, but removing grains and all processed foods can have wonderful effects on your body too. For me personally, keto has mainly been about helping my digestive system heal. I was not diagnosed with Celiacs until my mid-twenties (after two surgeries and a lot of havoc to my overall health). Removing gluten helped a great deal, but inflammation and frequent problems with my immune system continued until I went keto. And while at the beginning (roughly six months) I maintained a very strict 20g net carbs a day diet, I now do something called carb cycling and range from 20-100g net carbs a day (we’ll talk about this next week!). Regarding dairy, I’m good with some (good quality, grass-fed) dairy, but in moderation (i.e no fat head pizza!). And it’s also highly recommended by my doc for a life-long vitamin B12 deficiency (courtesy of Celiacs). 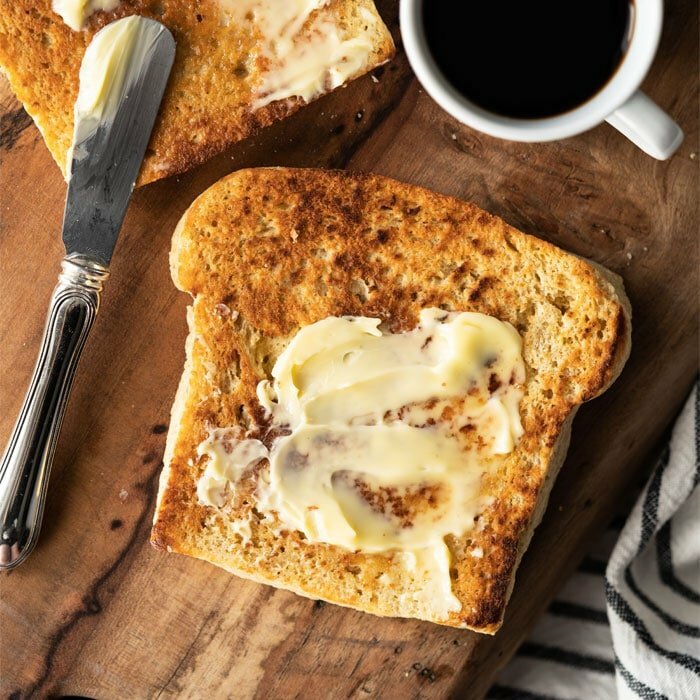 So it’s been a bit of a trial and error for me, but I’ve found that not all dairy is created equal in the eyes of my digestive system, so I try to stick to grass-fed butter and keep the rest on a more ‘special occasion’ basis. Also important to note is that I don’t consume as much fat as many (roughly 50% of my macros, not 70%). I don’t have a gallbladder, and I’ve found that my digestive system works best with a little less fat and a bit more fiber. The one thing that I’m very strict about is that absolutely nothing I eat is processed or artificial, as my body simply hates me after! So for instance, if I were faced with the choice of drinking a Diet Coke or a honey-sweetened drink, I would go for the honey one without a doubt. It might kick me out of ketosis for a couple hours (you might be surprised how quickly you get back in once fat adapted), but it won’t harm my health. Overall, I truly like to think of keto as a lifestyle change for me. I want to know! OK, so tbh I already get a general idea from many of your comments and emails. Some of you are purely low carb (and ask a lot about including vital wheat gluten in recipes… I love you guys, wish I could still eat gluten! 😂! ), others are purely gluten free, but most seem to go all the way and go grain free too. Got questions, suggestions, an opinion, or a topic suggestion? Drop it in the comments below and lets chat! I just completed a “keto pregnancy”…. I was suffering with terrible nausea and ptyalism (spitting, yuck! ), eating anything starchy or sugary just made my symptoms worse so I ended up following a Keto Diet from approx 3 months of pregnancy all the way through. 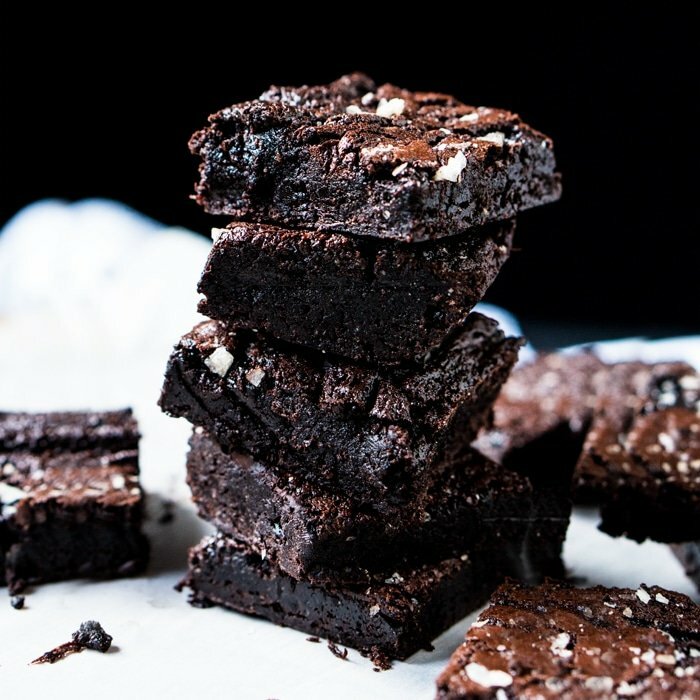 I found Paola’s recipes really invaluable in still allowing me to have some of the treats I used to love, (especially the brownies and choc chip cookies! Oh and the 15 min pizza dough!). Anyway pregnancy symptoms were a lot better controlled, I had minimal weight gain through the pregnancy and delivered a very healthy 7lb2oz baby 2 weeks ago at home! I would definitely recommend it. Also I had lots of post natal problems like joint pains after my previous carb heavy pregnancy which I didn’t have this time round. Recovery has been excellent and I’m already back into my pre pregnancy clothes. I plan to continue with a low carb/paleo style of eating now baby is out. I am new to Keto (<45 days) but loving everything about this lifestyle change! I have suffered from PCOS for a very long time and have a hard time regulating my weight and hormones as a result. The doctor suggested this diet while we go through fertility treatments for baby #2, but I love it so much that I want this to be a permanent change. Have you heard anything about keto while being pregnant? Is it safe for the baby? Do I have to add in any extra foods (esp. fruits) to make sure the baby is getting everything it needs? I know you are not a doctor, but I am hoping you have experience with other people that have been in my situation. Doctor's seems nervous about keto because it is so unknown. Thank you! Hi Shea! I’m definitely not qualified to answer your question regarding pregnancy (for me it’s a permanent change, but no kiddos!). I do know, however, that there are keto pregnancy groups on facebook and I think you’ll get much more info from the ladies who have gone through it! Off the top of my head, I would think they would involve frequent carb up practices (or even do a keto/paleo mix adding a bit of fruit and healthy starches such as sweet potatoes here and there). Hope this helped a bit! I’m just starting Keto and I have about 65lbs to lose … I was someone who was always thin my entire life, always exercised and was in shape, but due to tragic injury 10yrs ago, I have endured 3 knee replacements (on the same knee), a hip replacement, and a back fusion with a bar insertion. I can exercise, I do yoga, pilates, walk the treadmill and swim at the gym so I’m motivated to REALLY get this weight off!! I’ve started doing the Keto diet by doing a 28 Day Challenge. I thought that may give me a good jump on losing weight by laying out the shopping lists by week, meal plans, supplements, knowing when your in ketosis… Thoughts?? Also, I’m allergic to fish ( all kinds .. it’s the iodine & mercury content) what can I eat to substitute in its place? But, I do take Omega 3 supplements added to my other vitamins/supplements. Lastly, when is best to start fasting? ( the Challenge says at week #3 ), but that seems kind of late no? Other people I know are fasting by second week. I normally don’t eat after 7:30pm anyway except maybe for some hot tea before bed. do you think I can start fasting earlier or should I just follow the Challenge? Any advice you can give me would be greatly appreciated, I’m really eager to get this weight off, I’m so uncomfortable. Hello Paola, thank you for your awesome blog!!! I have a question, do you have an alternative chlorophyll option without the soy?? I try to stay clear of soy. Thank you so much! 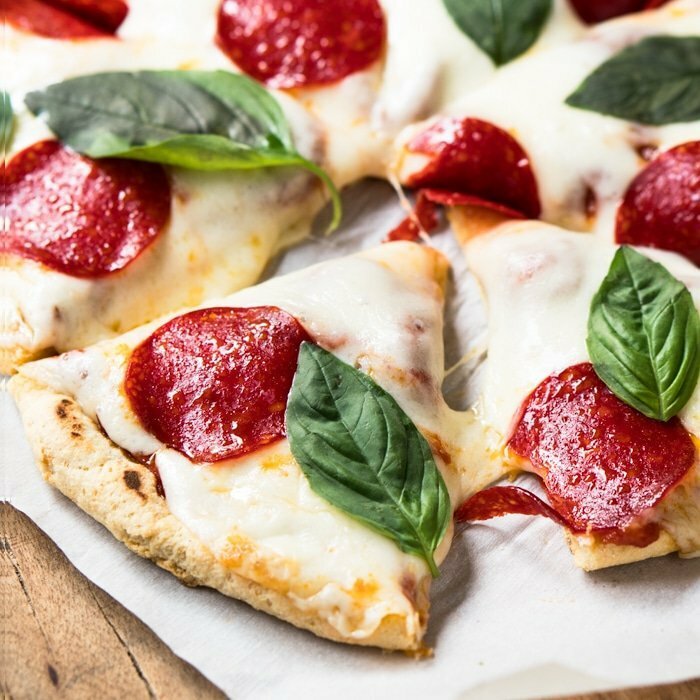 Paola, I just love your articles and recipes. I want to try them all. I see you haven’t posted anything recent articles or am I looking in the wrong spot? I just started with Keto and your articles are the best so I want to stay connected. You have not failed us in the least! You need to take care of yourself, that comes first! I hope you get better soon and just take it one day at a time! Im postponing this series until January (having some ongoing issues with an injury so sticking to recipes right now ;)!) xo!! I’m sorry to hear you had an injury. Please take care! Thanks Paola i am happy to hear you are looking into this! I made a cake with it and the end result is so amazing! If you would indulge me a little further: i would love to know what the substitution ratios are for almond and coconut flour, if say i were to use lupin instead? How much lupin should i use instead of almond? Have you figured this out yet? Secondly, lupin has very low fat and high protein. Would this create problems for those on keto?? i wonder if you could share which is the brand you said isn’t bitter? Opps forgot to ask may i know which brand it is which u dont find bitter? Currently using miracle flour it seems OK on the cake i baked.. which one do you like? Hi Paola, this is a topic i would love to get involved in! I will share my experience… I started keto 3 times! Yes 3 times and the first 2 times i quit! Im not normally a quiter in life but man did keto make me ill. I felt drained and didnt go into work for a few days. After reading around, and i cant remember where, but someone mentioned that you have to fidn the right food for you. Each body is different and to make it run it likes specific fuel (food). So with some little bits of testing i found my balance and it worked great. I actually had a really succesful keto diet. However, this might not work for another person as we are all different, which i later found out. So my 2 cents really is to find your food. Some will make you feel sluggish. (Cut it out) some will make you feel fine (keep it) and so on. It takes time but it is worth it! This is a great addition to your site! I had gastric bypass surgery about 11 years ago, lost over 250 pounds. Gradually, over the years I have regained a bit of weight to the tune of about 60lbs. When I found keto I fell in love and so far have lost 45lbs of regain over a four month period. It was an incredibly difficult start however. There is little information for those that have had gastric bypass or some type of alteration to get the correct macros to actually begin the journey. I did find a very old community discussion board in which a lady posted her macros and how much she weighed (we were very similar) so I went from there. I didn’t get the keto flu, but I purchased some ketone supplements that helped and read in another work out blog that chicken bouillon cubes were a life saver if there were times of weakness or headaches. It did the trick and the ketone supplements I used also helped me maintain mental clarity. That was especially helpful after being outside in the hot sun doing yard work (I live in Fl so mowing is a weekly treat!). The hardest part was definitely not being able to have bread/cake. I still have not tried the fathead dough and just simply refuse to try it for now. The recipes on your site have been a wonderful, I have yet to have a disaster or a bad batch of anything! 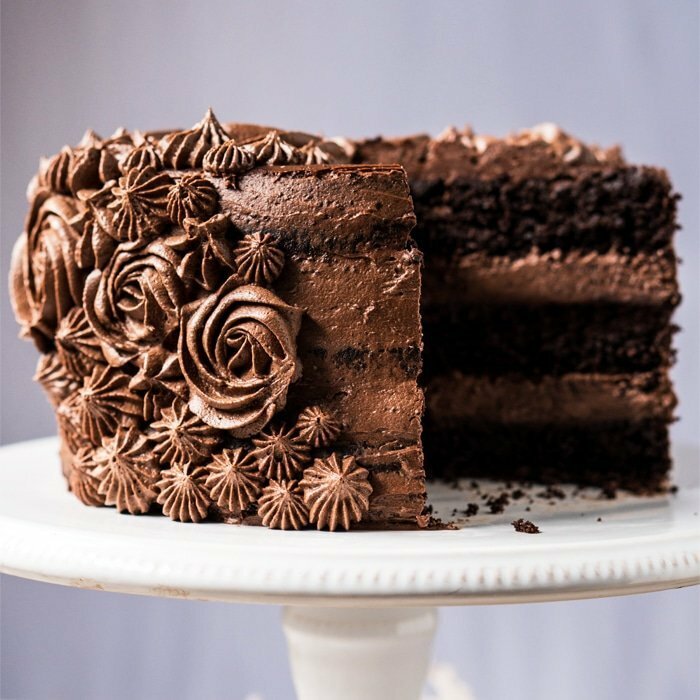 I made the chocolate cake for a special occasion and was blown away at how close it tastes to regular flour cake! I think it would be an awesome asset for you to incorporate, not only your own medical issues and what has been cleared up (or at least alleviated) but also those that have had some type of weight loss surgery and what keto may or may not look like for them. I also, want to understand your carb ups as I know I am close to goal and want to maintain this way of eating, without further weight loss or gain. I have been pretty loose with the lifestyle change, not depriving myself of things that I’ve wanted (pears are just too good to not eat!) within reason and within my macros. It has been a bumpy adjustment, but one that was necessary and has since worked so well for me! Thank you so much for the work you put into the recipes and sharing what you have done and experienced! I love this thank you! So helpful. I have a question about alcohol…I like my vodka and seltzer cocktails. Is that allowed?? Paola, thank you for your amazingly delicious recipes! I was not blessed with the gift of cooking, so while I love the Keto way of life and how it is working in our life, it has caused me to have to cook…..lots. I’m not good at it. At all. Your recipes have been wonderful. Everything I have made so far has been delicious. Husband approved! So thank you, from the bottom of my heart. Please keep them coming! 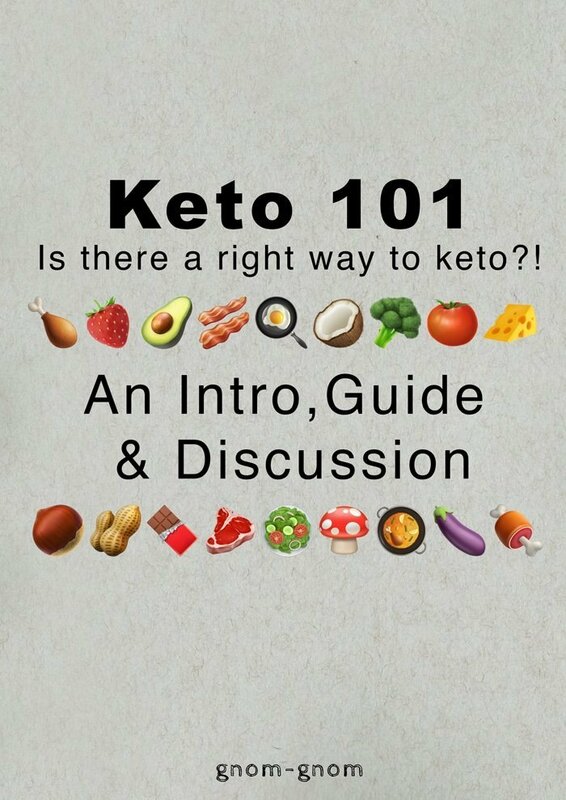 I am excited about the new Keto 101. It’s great to hear what is working and not working from other Ketoers! I really appreciate this article on keto and look forward to reading more. I have been keto since October 14, 2017 and to be perfectly honest, I would have to say I have been mostly self-directed. Yes, I read up on keto, but it was mostly from here and there articles. I seem to be stuck right now, so I am trying to do a reset. As part of this reset, I have committed to read and study keto each day, and because of this, I am finding out there are many things that I need to do better and improve upon. I am happy with my weight loss so far which is 69 pounds, but I can’t help but think about the what it might have been if I had done everything exactly as it should have been. I won’t know, but I do know I can do much better and go from here. Thank you so much for your inspiration. Started Keto almost a year and a half ago. I eased into it over 3-4 months with intermittent fasting so the Keto flu really wasn’t an issue for me. Then about 4 months ago I had to go off Keto because of severe digestive issues. With a lot of bone broth and some fasting I’m working to add more fats into my diet. Long story short I’m using Keto to help with a cancer diagnosis. To do this I need to get my GKI down to 1:1. Hence my carb intake needs to be quite low. Any ideas/ suggestions? Thank you so much for this section, Paola. Sometimes I have questions and don’t want to ask them in the recipe comments because they’re not the place for that so I hope this section is treated with respect. I was never overweight but did have a couple extra pounds and a layer of fat I wanted to shed. I had been in a calorie deficit American diet for more than a year and I was still holding on to some fat. I go to the gym and lift heavy weights 5-6 times/week and I was always tired. Even with all that work, I didn’t get the results I wanted. I started keto about four months ago. I still haven’t reached my goal of 20% body fat, I’ve been stuck at 24% and I’m starting to play with my macros a bit to see what I can get, but I can definitely say I feel better overall. I had come to believe that being bloated all the time was normal but after a few weeks on keto I learned that wasn’t the case, bloating is gone! Crashing midday is also a thing of the past which I love. Not to mention that I absolutely love eating this way. My only issue at the moment is that I’m in the hair loss phase. I’ve always had very thick, dense, beautiful curly hair (one of my favorite things about myself) and it’s the worst it’s ever been right now. I’ve been shedding for about a month and a half so I’m hoping it’s starting to slow down and I can start the re-growth. I also have my first doctor’s appointment in a few weeks since starting keto. I’ll have some panels done to make sure everything is okay. I’m also a little bummed that I’m stalled in my fitness goal, but since I feel fine, I’ll keep on keeping on! Thanks again, Paola! Eres la mejor! Hi Yetza! A lot of you ask questions about the keto diet, and while I’m in no way a doctor and my forte is cooking, I do believe there’s a lot of knowledge in the community as a whole. So of course creating a safe space is super important! Fingers crossed and I would be very interested to hear if it works for you! I’ve been keto 21 months, I started with Type II, Fibromyalgia, chronic pain, high blood pressure, CPAP, and on 22 medications! I also have RA and Bipolar! I have cured everything! I no loner take pills! I walk 3 miles per day! I eat Whole Foods! Meats eggs and greens. A do some cheese. I also take pink salt magnesium glycinate, potassium citrate, Thorne’s Methylguard plus, Kreel oil and 5Htp. I’ve lost 60 lbs. I had been fat and sick for 30 years! Now I’m free! I love your work! Thank you! Vivian this is TERRIFIC news! I have been reading more about keto for depression, anxiety and bipolar and have found it fascinating. Keto has helped me personally with anxiety and depression episodes, and find fascinating how connected our digestive systems are to our mental health. Super happy to hear you’re enjoying and thank you for sharing your ongoing success story! I went “keto” after my blood pressure refused to come down. I’m one to avoid meds (no BP meds for me!) and I’m very picky about supplements as well. They must be pure with no fillers. I’m happy to say with 16 carbs or less, I’ve dropped 20 pounds slowly but steadily in a course of 4 months, and I’ve been able to add a cheat day now and then (like when the grandkids want pizza :)…), and my BP is nicely normal! Yay! What I miss: FRUIT!!!!! LOL! I can’t be much help about the vitamins, but maybe I can help about those fruit cravings! I’m with you on that one, and do consume sneaky amounts of fruits here and there. I’m obviously not talking banana, but aside from the usual berries I think you’ll find watermelon for instance to be surprisingly low carb (7.5g net per 100g and blueberries, the highest carb berry, are actually 12.5g net!). So by digging a little deeper you’ll find the tthere are quite a bit ‘low carb’ fruits to be consumed in moderation. xo!